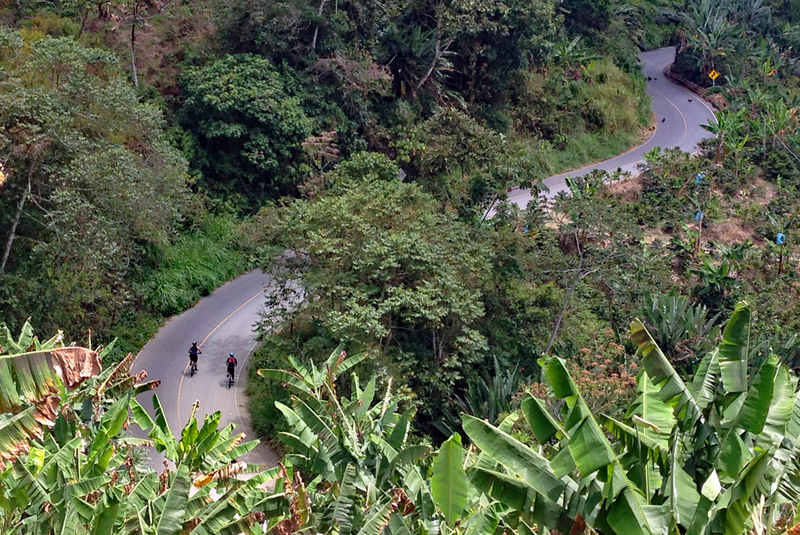 Cycle the serene highlands of Colombia’s famed coffee region and discover the sweeter, softer side to this often misunderstood country. Learn how to roast the perfect blend during a tour of a working coffee plantation, be beguiled by the laid-back pace of charming Salento, try your hand at tejo, an explosive local pastime, and of course ride through some of the most stunning scenery this region has to offer. Heard of Ciclovia? It's incredible. Every Sunday and public holiday, from 7 am till 2 pm, Bogota shuts down certain streets in the city to create over 100 km of car-free space for cyclists. There are also stages set up in parks and public areas so non-cyclists can participate in group activities like aerobics or yoga. Spend the morning riding through the flat streets with over one million locals then explore the sights with your group on an orientation walking tour. Hop on a flight to Armenia this evening, Colombia's coffee-growing centre to the west of Bogota. Cycling distance: approx. 18kms/11miles, mostly flat, with approx. 150m/490ft of elevation gain. Jump in the saddle for the first long ride of your trip, cycling from Calarcá to Salento. 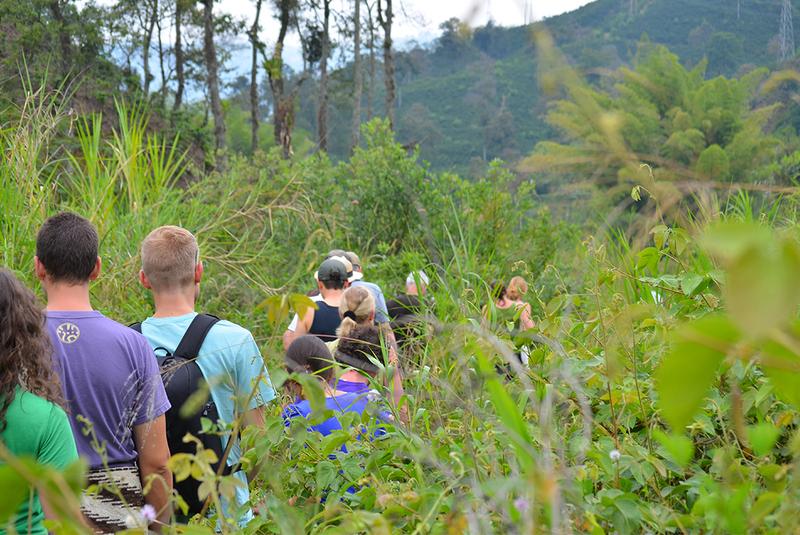 At a distance of almost 60 km, you can expect a sweaty, humid affair gliding past coffee plantations and steamy jungle scenery. Spend the afternoon exploring Salento, a colourful colonial town known, of course, for its coffee. To make sure you get the full experience a coffee tasting is included. You'll also get to enjoy a hand at the local Colombian game of tejo - which involves throwing a metal disk at small envelopes of gun powder. Seriously. Hit an envelope and it explodes and, for better or worse, tradition stipulates a beer should be drunk while playing. Cycling distance: approx. 59kms/37 miles, mostly flat for the first 30kms then climbing the last 25kms, with approx. 1340m/4400ft of elevation gain. 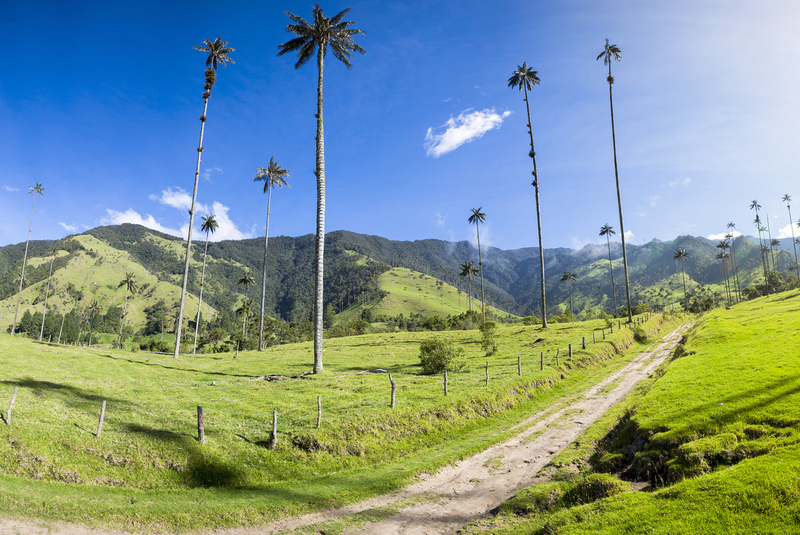 Take a hike in the Cocora Valley this morning, a beautiful, verdant landscape dotted with palm trees. Outdoor activities like camping, bird watching and mountain biking are all popular here, and the trout-filled rivers in the area are regularly visited by fishers. After lunch, ride from the Cocora Valley to Filandia. While similar to Salento in its architecture and coffee culture, Filandia is smaller and visited much less frequently. Shop for local handwoven baskets in the market or perhaps climb to the top of the observation tower for unbroken views of the surrounding countryside. Cycling distance: approx. 31 kms/19 miles, mostly downhill for the first 15km, 5km climb then undulating, with approx. 600 m/1970ft of elevation gain. Today you'll cycle 30 km, mainly downhill, from Filandia to Alcala. Take a break and rest your legs in the middle of the ride for a coffee experience tour at Cafe de Altura in Quimbaya. 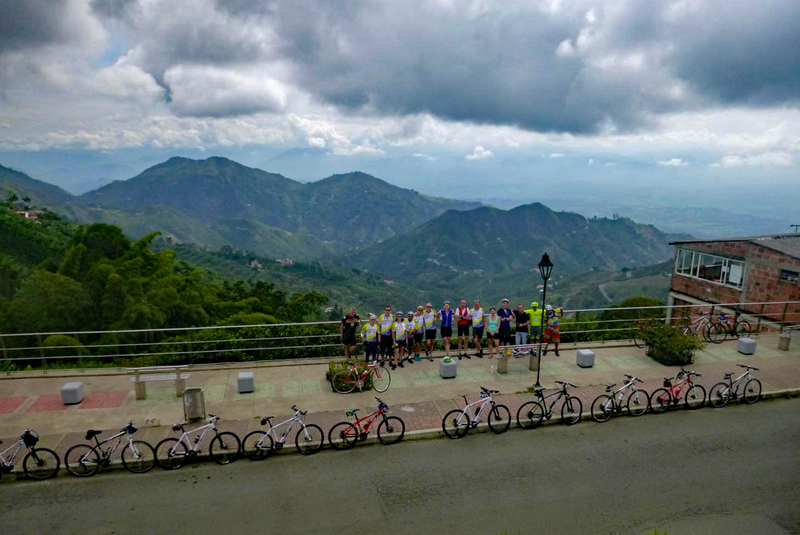 Cafe de Altura is a family-run business and the restaurant is as good as the coffee, so this is where the group will have lunch and refuel for the rest of the ride, especially the last climb to to your hotel for the night. Check in to the hotel and maybe enjoy a different kind of adrenaline, optional zip-lining over the coffee plantation before taking it easy for the evening. Cycling distance: aapprox. 30 kms/19 miles, downhill for 25km with a gradual climb at the end, with approx. 385 m/1265ft of elevation gain. Enjoy your final ride of the trip from Alcala to Cerritos, a distance of 75km. Ease into the day with a slight downhill before dipping into a valley, then pedal on mainly flat roads until the final 5 km, where a final ascent will have you earning your treats in Cerritos. Visit the embroidery factory in Cartago en route and learn about the region's history with the needle and thread. Check in to the hotel where an optional massage (not included) will help soothe those overworked quads, as will a soak in the swimming pool. Cycling distance: approx. 74 kms/46 miles, descend for first 17kms, steep climb for 3kms, then flat with a large climb at the end, with approx. 870 m/2850ft of elevation gain.